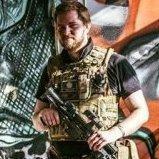 newbi north west area looking for advice , venues guns etc ..
hello everyone , im new to airsoft and i cant wait to get going ! i have done paintballing a few times in the past and i love it so im figuring i will really love airsoft..
im going to book my first game for the 31st at swat urban , has anyone been to any swat sites ? and is it a good place to play ? now with regards to a gun am i correct in saying that if i play 3 times i can own my own propa rep gun ?? Skirmish is a term used to describe "going airsofting" if you're going for a skirmish, then you're going airsofting, basically. So people often say they're going skirmishing. You're correct in the fact you need to play 3 games, they have to be more than 2 months apart though, I did mine over a period of 3 months, 1 trip a month. Which works out pretty well, I go roughly once a month, or twice if I can arrange it with mates and we all have the dosh. Just mention it to the site when you get there and see how they sort it out, it generally involves filling in a form and getting it stamped, but they might have a different way of doing it. Hope you have fun with it, I'm sure the site will be fine.